Shoot the pins for a high score! How many rounds can you make it through? 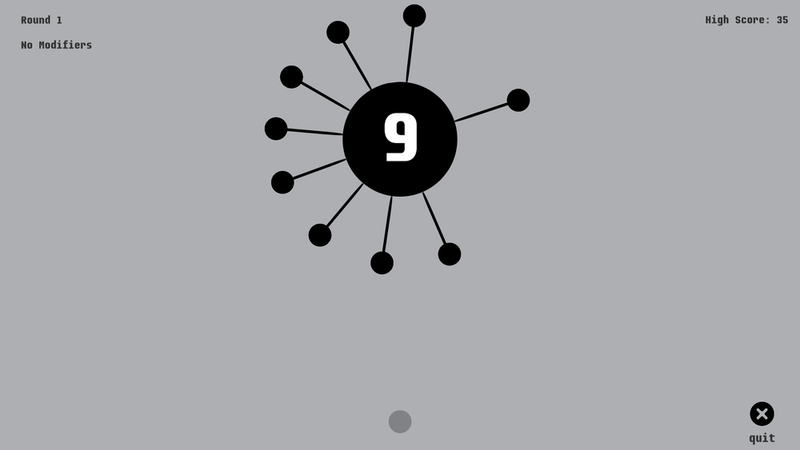 12 pins per round, press space or mouse button to shoot a pin into the circle. Be careful of the modifiers that will add additional challenges each round!